Guide to Alcohol on the Keto Diet - Vaxxen Labs, Inc.
A major plight for many newcomers to the keto diet is reducing/eliminating alcohol consumption. After all, alcoholic beverages are the social drinks of choice nowadays and have been for centuries. Naturally, people ask if they can drink any alcohol on the keto diet? The short answer: Yes, but there are some finer points to consider before you go out for a night of drinking with the boys or girls at the bar (regardless if you’re on the keto diet or not). This guide will give you an essential lesson in what alcohol really does in the body and then detail how to implement alcoholic beverages on keto without ruining your dieting efforts. Drinking Alcohol on Keto: Is it Good for Ketosis? Drinking ethyl alcohol – the form of alcohol we typically associate with “hard” beverages – leads to the body – primarily the liver – producing acetaldehyde and reactive oxygen species/free radicals, the latter of which is responsible for oxidative stress (we will touch more on the importance of this later). It’s important to note that your liver is also responsible for producing ketones from fatty acid metabolism, which is key for ketosis. Thus, alcohol can indirectly hinder ketosis if it starts to damage your liver. The good news is that the keto diet encourages most people to consume more vegetables and micronutrient-rich foods, which generally support the liver. Maintaining proper liver function on keto (and function of organs that detoxify the body) is imperative for eliminating alcohol metabolites and ensuring you get the most benefit from eating healthy fats, like the medium-chain triglcyerides (MCTs) and grass-fed butter in Keto Assist Plus. For decades, people have been on the hunt for the elusive remedy to the dreaded alcohol hangover. Many supplement companies are coming out with “hangover pills,” which is a bit misleading as you can’t really ingest anything that will immediately cure a hangover. However, there are certain nutrients that assist toxin removal from the body. In the case of drinking alcohol to the point you are inebriated and experience a hangover, alcohol is in fact toxic. These nutrients are also key for healthy immune function and reducing oxidative stress, which is imperative for those who regularly consume alcohol. In short: No. Alcohol does not help your liver produce ketones. In fact, your body produces an aldehyde (specifically acetaldehyde) when you consume alcoholic beverages on keto. 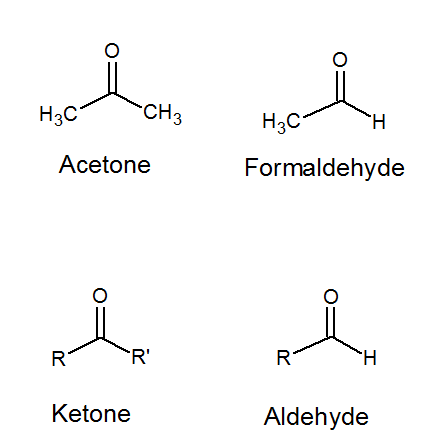 Aldehydes are similar in chemical structure to ketones, but vary in their biological role. While ketones tend to resist oxidation, aldehydes do not. This means you leave your body susceptible to large amounts of oxidative stress if you consume too much alcohol on keto. Research has shown that some aldehydes act as chemical messengers for reactive oxygen species, which in excess produce toxic effects on cells and even increase the risk of metabolic syndrome and type-2 diabetes. It never ceases to amaze me that when I tell someone that drinking alcohol can disrupt mood, damage the liver, increase systemic inflammation, and suppress the immune system, they don’t really care and keep pounding beer. Well, if that doesn’t grab your attention, what if I told you that alcohol can also stop you from building muscle and losing body fat? Don’t get me wrong, quantity is always what determines whether or not something is healthy or unhealthy, but evidence suggests that even somewhat modest amounts of alcohol can be detrimental to weight loss (and muscle building). Sadly, not many people are truly aware of what “moderation” really means when it comes to alcohol. A can of beer or glass of wine on occasion (i.e. every couple of days) can actually be healthy a bottle of wine or a six-pack of beer every day is not. A recent research review of the effects of alcohol on athletic performance found that even acute alcohol consumption can reduce strength, significantly decrease muscle protein synthesis, induce dehydration, and impair motor function. Basically, alcohol is not ideal for athletes and gym-goers. Furthermore, short-term alcohol intoxication (i.e. being drunk) has been shown to reduce muscle protein synthesis by as much as 30% for upwards of 48 hours, primarily affecting fast-twitch muscle fibers and the myocardium (muscles of the heart). It has also been shown that alcohol hinders energy (ATP) production in skeletal muscle tissue. This spells bad news for athletic performance and longevity. Intuitively, don’t drink alcohol in the hours before or after a workout. Stick to something like bulletproof keto coffee before a workout and whey protein post-workout. Bottom line: Don’t drink too much (if any) alcohol on keto if your main goal is to improve athletic performance and/or enhance body composition. If you absolutely can’t give up drinking alcohol on keto, then try and limit your consumption to 1-2 beers per week or the occasional glass of wine with dinner, which shouldn’t impede your progress much and may actually be beneficial. On the other hand, pounding a six-pack of Coors or a bottle of Pinot Grigio while you watch Netflix is probably not the best idea. By this point, you are thinking alcohol is inherently “unhealthy” and you absolutely shouldn’t drink it on keto. In reality, that’s not what the preceding sections were trying to get across. Like with any nutrient, supplement, or drug, quantity is the biggest factor. I realize many people enjoy drinking alcohol to relax after a long day or just to be social on the weekends. The good news is that certain alcoholic beverages are keto-friendly if you can consume them in a healthy fashion. In general, wine and pure hard liquor are the lowest in carbs (you will still want to limit your consumption of these to stay in ketosis). You’ll want to steer clear of beer, IPAs, wine coolers, and other flavored alcoholic beverages that almost always contain a large number of carbs and added sugars. The hard and fast guideline for wine on keto is to avoid the “sweet” varieties, which generally pack 100+ calories from sugar. Sparkling, dry white, and red wines are, however, fairly low in sugar and only contain about 4-6 grams of carbs per glass (6 oz). All of the above contain anywhere from 100-190 calories and less than three grams of sugar per 6 oz (177 mL) serving. For reference, a standard bottle of wine is 25.4 oz (a little over three single servings). As such, you need to be diligent about hard liquor consumption on keto, making sure you avoid mixed drinks that are made with artificial additives and added sugars. A “shot” of hard liquor is typically 1.5 fluid ounces so that right there is 100+ calories in most cases. If you’re on keto and go out for a night at the bar, don’t get too carried away with shots. The calories can add up fast, and may also lead you to overeat on other foods while you’re under the influence of alcohol. To get more “bang for your buck,” so to speak, keto-friendly mixed drinks are a better way to make use of hard liquor than straight shots. Unfortunately, it’s not very likely to find zero-carb mixed drinks at a restaurant or bar so you’re better off crafting them on your own. The trick to making a keto-friendly mixed drink is finding zero-carb liquids and sweeteners. Some brands are taking note of the keto lifestyle and making margarita mixes that are sugar-free. For keto, the best sweeteners are typically low in glycemic index and non-nutritive (i.e. they have no calorie content). For example, pure stevia extract and monk fruit extract are ideal for sweetening mixed alcoholic drinks without adding any sugar/calories. You might find something that matches your tastes preferences better than stevia or monk fruit extract, but be sure it’s zero-carb (or very low in carbs) before you add it to a drink. Of course, you should never be using table sugar, simple syrup, honey, maple syrup, etc. to your mixed drinks on the keto diet; even a teaspoon of simple syrup contains four grams of sugar, and that’s a tiny amount compared to how much most people use to sweeten mixed drinks. Also be mindful of “no-calorie” non-nutritive sweeteners that you find at the supermarket. These products commonly contain “filler” carbohydrates, such as dextrose and maltodextrin, that can negatively impact ketosis. For example, Splenda, a popular non-nutritive sweetener, is actually a mixture of sucralose, dextrose, and maltodextrin. Therefore, each packet of Splenda that you use actually contains about half a gram of sugar. While that seems insignificant, if you’re using 3-4 packets of Splenda to sweeten your morning coffee, that’s 1.5-2 grams of “hidden” high-glycemic sugar sneaking its way into your drink. Moreover, watch out for beverages and foods that are labeled “sugar-free” as they might be packed with sugar alcohols, like maltitol and sorbitol. While sugar alcohols don’t directly increase blood glucose or insulin, they are not very sweet on a per-gram basis and can cause gut distress/flatulence in larger amounts. Erythritol tends to be easiest on the gut if you choose to use a sugar alcohol for sweetening mixed drinks. The keto diet naturally has a diuretic effect, since carbohydrates are water-attracting molecules and one of the ways your body stores fluid. Thus, you might get dehydrated rather quickly if you’re in ketosis and drink alcohol. Naturally, you’re going want to drink a bit more than the standard baseline of eight cups of water daily. For the majority of people on the keto diet, at least 100 ounces of water per day is recommended. It’s also wise to consider supplementing with electrolytes since your body needs things like sodium, potassium, and magnesium to maintain proper fluid balance. As a simple guideline, your urine should be on the clearer side; if it’s dark yellow after you consume alcohol, drink more water! Also, if your primary goal is to lose weight on keto, keep in mind that alcohol has basically no benefit for your body in terms of metabolism and fat loss. Again, in excess, it’s counterproductive to weight loss and ketosis. Instead, you might choose to start your day with bulletproof keto coffee, which is ideal for increasing energy and enhancing focus/concentration. However, we recommend limiting your intake of coffee and caffeine-containing beverages to no more than three cups per day, especially if you consume alcohol on keto. Caffeine is a strong diuretic, meaning excessive intake can increase your risk of dehydration. Ultimately, you can incorporate alcohol into your keto lifestyle so long as you keep the sugar/carb intake low enough and don’t go overboard on serving sizes. Using the suggested wines and hard liquors in this guide is the best way to stay in ketosis while drinking alcohol. And on that note, cheers to good health! Wannamethee, S. G., & Shaper, A. G. (2003). Alcohol, body weight, and weight gain in middle-aged men. The American journal of clinical nutrition, 77(5), 1312-1317. Mukamal, K. J., Conigrave, K. M., Mittleman, M. A., Camargo Jr, C. A., Stampfer, M. J., Willett, W. C., & Rimm, E. B. (2003). Roles of drinking pattern and type of alcohol consumed in coronary heart disease in men. New England Journal of Medicine, 348(2), 109-118. Bellentani, S., Saccoccio, G., Costa, G., Tiribelli, C., Manenti, F., Sodde, M., … & Brandi, G. (1997). Drinking habits as cofactors of risk for alcohol induced liver damage. Gut, 41(6), 845-850. Keshavarzian, A., Holmes, E. W., Patel, M., Iber, F., Fields, J. Z., & Pethkar, S. (1999). Leaky gut in alcoholic cirrhosis: a possible mechanism for alcohol-induced liver damage. The American journal of gastroenterology, 94(1), 200-207. Thies, J. C., Teklote, J., Clauer, U., Töx, U., Klar, E., Hofmann, W. J., … & Otto, G. (1998). The efficacy of N‐acetylcysteine as a hepatoprotective agent in liver transplantation. Transplant International, 11, S390-S392. Sultana, S., Ahmed, S., Jahangir, T., & Sharma, S. (2005). Inhibitory effect of celery seeds extract on chemically induced hepatocarcinogenesis: modulation of cell proliferation, metabolism and altered hepatic foci development. Cancer letters, 221(1), 11-20. Lieber, C. S. (2003). Relationships between nutrition, alcohol use, and liver disease. Alcohol Research and Health, 27, 220-231. Ward, R. J., & Peters, T. J. (1992). The antioxidant status of patients with either alcohol-induced liver damage or myopathy. Alcohol and Alcoholism, 27(4), 359-365. Jaganjac, M., Tirosh, O., Cohen, G., Sasson, S., & Zarkovic, N. (2013). Reactive aldehydes–second messengers of free radicals in diabetes mellitus. Free Radical Research, 47(sup1), 39-48. Guerrero, R. F., Garcia-Parrilla, M. C., Puertas, B., & Cantos-Villar, E. (2009). 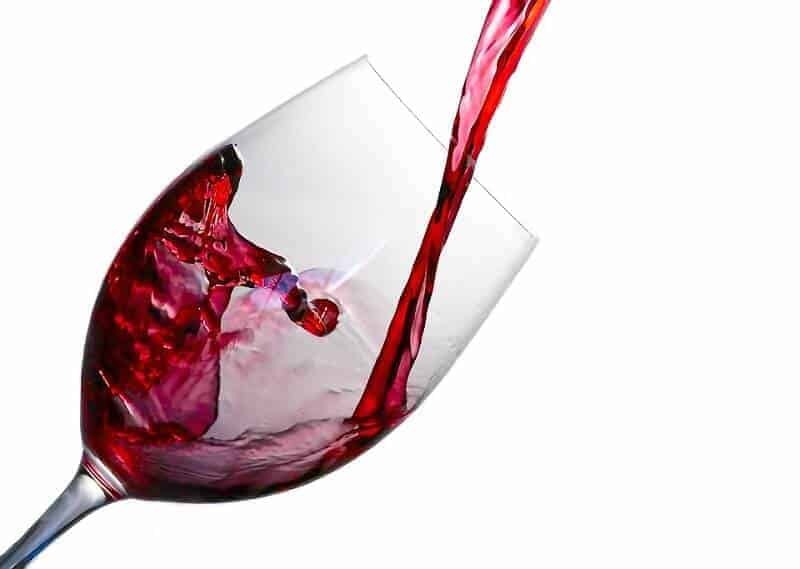 Wine, resveratrol and health: a review. Natural product communications, 4(5), 635-658. Vella, L. D., & Cameron-Smith, D. (2010). Alcohol, athletic performance and recovery. Nutrients, 2(8), 781-789. Lang, C. H., Wu, D., Frost, R. A., Jefferson, L. S., Kimball, S. R., & Vary, T. C. (1999). Inhibition of muscle protein synthesis by alcohol is associated with modulation of eIF2B and eIF4E. American Journal of Physiology-Endocrinology And Metabolism, 277(2), E268-E276. Yazaki, K., Haida, M., Kurita, D., & Shinohara, Y. (1996). Effect of chronic alcohol intake on energy metabolism in human muscle. Alcoholism: Clinical and Experimental Research, 20(s9), 360A-362A.